The Apex Skypark is a fully-realized version of the sfnal idea of a parking garage. The Skypark video below is kind of chatty in a retrofuturistic kind of way, but it does get its point across, along with good footage of the device in action. As the video points out, there are significant advantages, including better land use, low operating cost, modular construction. It can also be safer and offer fewer hassles to customers. I'm fascinated with robotic parking garages for several reasons. 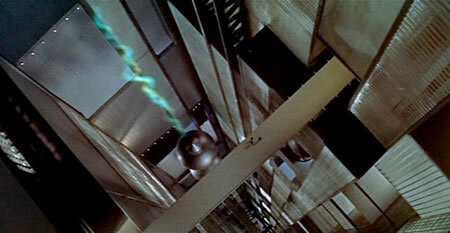 The first is that I initially encountered the idea in science fiction novels; see the references for the aptly named robopark from Robert Heinlein's 1941 story Methuselah's Children and the grapple tracks in the automated parking building from Frank Herbert's 1977 novel The Dosadi Experiment. 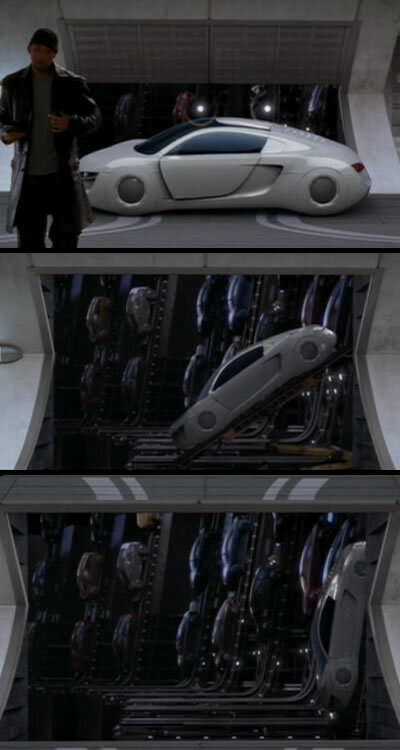 Oh, and don't forget the very cool visualization of a robotic parking garage in the movie I, Robot. I'm also fascinated by the idea of huge machines, especially machines large enough to encompass entire cities or planets. In particular, I'm thinking of what is probably the canonical example, the vast Machine from EM Forster's The Machine Stops, published in 1909. Also, don't forget the machine city from John W. Campbell's 1934 story Twilight. I also liked Clifford Simak's description of the metal calculator planet from his 1949 story Limiting Factor. As far as visual examples, this inside look at the vast machines of the Krell from the 1956 film Forbidden Planet is one of my favorites. 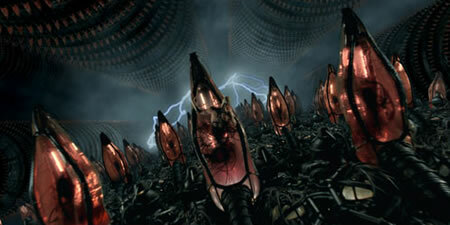 For a more modern example, consider this view of the reality behind the Matrix. Do you have a similar fascination with enormous machine spaces? Is there room for vast machines in our supposedly nanoscale future? Leave your mental images in the comments below. Anyway, learn about a different scheme for a robot parking garage; see also the article Let a robot park your car at Electricpig.